For the first time ever, Priyanka Chopra attended a Jonas Brothers’ concert recently. She was also seen in one of their music videos, Sucker, along with Sophie Turner, Joe Jonas’ fiancée and Danielle, Kevin Jonas’ wife. Recently, Priyanka Chopra also made the revelation that she had not gone to a Jonas Brothers’ concert ever in her life, something which is no longer true. Few days ago, she took to Instagram to share an adorable photo with her hubby dearest Nick Jonas and her brother-in-laws with the caption “My first ever #jonasbrothers show. And it was incredible!!! I’m so proud of these guys!! #Family”. 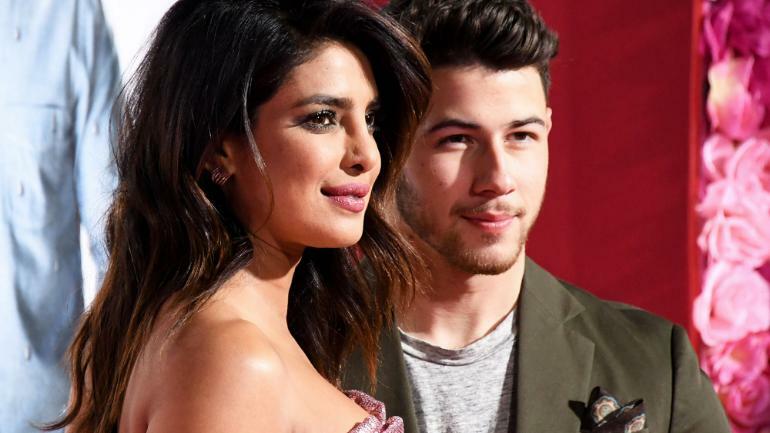 A video of this event has gone viral and is doing the rounds of the internet which shows Priyanka Chopra laughing out loud, tripping and is about to fall when she gets hold of Nick’s bicep that saves her the fall and the embarrassment. This “oops” moment made all her fans go awww and they just cannot get enough of the video. The clip has been taken, most probably, at the backstage of the concert and the cute moment happened when the newly married couple was waving to their fans. As if their extravagant wedding in December wasn’t enough to draw global attention, now we have this adorable video which has made the duo one of the most watched celebrity couples online. If you still haven’t watched it, what are you waiting for? Click here to watch it. Next articleNow You Can Travel to Finland and ‘Rent a Finn’ for Free!